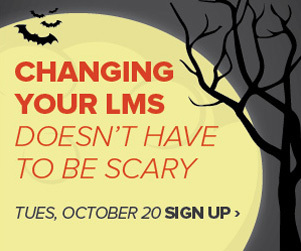 ● Positioning the new LMS and rolling it out to faculty and students. ● Driving adoption and usage. ● Internal marketing - why it’s important, and what it could look like? ● Setting up the migration process, including setting time and resources expectations. ● Reflecting and measuring performance. This webinar was made possible by Instructure. You can download the accompanying slide deck here .